Our deep rooted family bonds, nurtured by Late Shri Parasraj G.Shah, the founder of prem group who braving the extreme conditions of weather, set foot on the desert land of Rajasthan, to established a small unit for the manufacture of aluminum conductor. Today prem group has grown into a conglomerate. And in the crown of this multicrore group is a rare jewel – PG Foils. The company with the third largest aluminum foil rolling capacity in India , and whose product are used in various industries ranging from pharmaceutical, food & beverages, communications, air conditioning and health products etc. 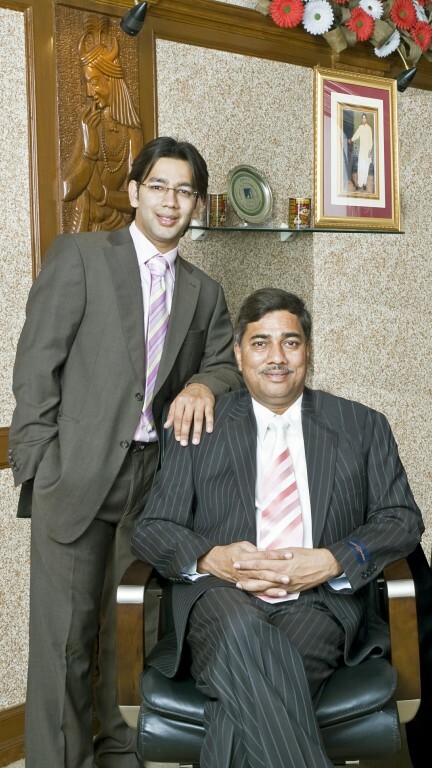 Needless to say, PG Foils performance is the result of a strong bond amongst the shah brother – Abhay P.Shah, Ashok P.Shah, and above all Pankaj P shah, who with his entrepreneurial acumen has helped PG Foils, reach the pinnacle of success. This Second generation entrepreneur who underwent an intensive training Foil technology at london has been actively involved in PG Foils since its inception. Under his leadership , the company’s growth graph turned almost a vertical upwards. His unmatched managing skill has given a tremendous confidence into his colleagues. Business success is only part of complex patina that made him both visionary industrialist & socially sensitive family man. This Third generation young entrepreneur has inherited business approach having inculcation for meeting any challange to come on his way. Pacing with the time who knows he may turn into tomorrow’s landmark! He sound promising for overall growth & success of the PG Group.